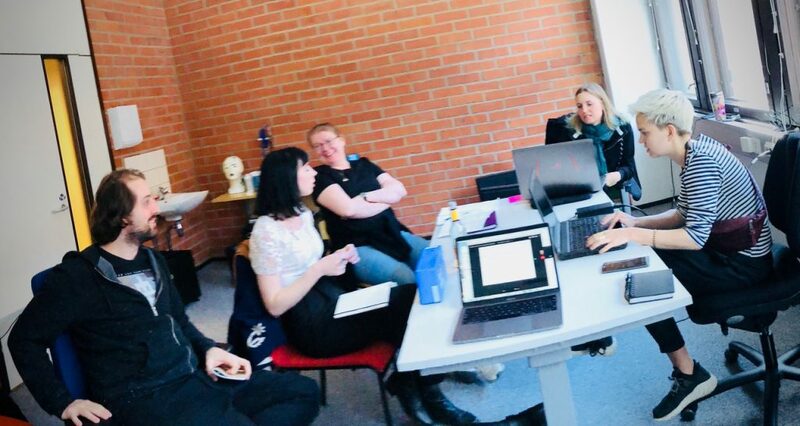 Our Enactive Avatar team Victor Pardinho, Lynda Joy Gerry, Eeva R Tikka, Tanja Bastamow, and Maija Paavola planning the volumetric video capture of a screen character with a collaborator in Berlin. 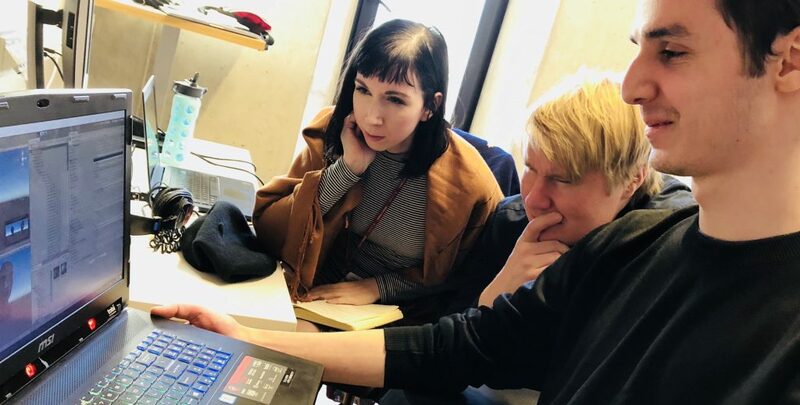 The team’s work is supported by the Finnish Cultural Foundation, Huhtamäki Fund, and Virtual Cinema Lab (VCL), School of Film, Television and Scenography, Aalto University, and by Pia Tikka’s EU Mobilitas Top Researcher Grant. 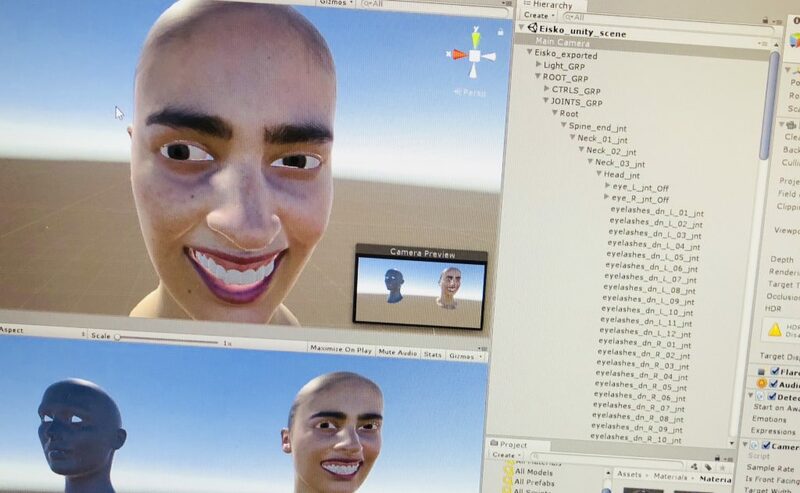 In the image Lynda Joy Gerry, Dr. Ilkka Kosunen and Turcu Gabriel, Erasmus exchange student from the University of Craiova @Digital Technology Institute, TLU) examining facial expressions of a screen character driven by an AI. The manifesto for the new field of science, Symbiotic Composing, by Dr. Ilkka Kosunen, was recently published in the Teater. Muusika. Kino. Symbiotic composing connects the topics of deep learning, physiological computing and computational creativity to facilitate new type of creative process where technology and human aesthetic judgment merge into one. The article is in Estonian language. News from our international network. A visiting researcher Ellen Pearlman, hosted by MEDIT and DTI at Tallinn University in November 2017, introduced the Enactive Virtuality team with filmmaker Karen Palmer and her team. Karen spent 6 months at ThoughtWorks as the Artist in Residence in NYC working on her emotionally responsive immersive film RIOT. Our interaction with Karen’s team was focusing on joint interest in the advanced facial recognition technologies that would allow driving the narrative in real time.